Hardware Book. Internet’s largest free collection of connector pinouts and cable descriptions. Connectors, Pinouts for connectors, buses, Cables, How to build serial cables and many other cables. Adapters How to build adapters. tables with info. like AWG. A Phil Koopman – Associate Professor at Carnegie Mellon University in the Department of Electrical and Computer Engineering (ECE). His vast experience includes wearable computers, embedded networking and autonomous vehicle safety. 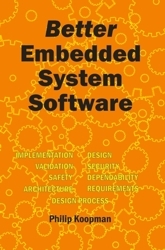 This book gives concrete approaches to achieving better embedded software in 29 different areas. Discusses topics on related to effective design, testing, and deployment of software for real time embedded systems. delabs Notes – There is also something i like Paper Planes. Electronic Design provides leading-edge technical information to electronics engineers and engineering managers around the world; individuals responsible for the design and development of electronic original equipment manufacturers’ products and systems. Electronic Design keeps its readers abreast of rapid technological advances and their applications at the chip, board and systems levels. “The first issue of Electrical Design News, the original name. was published May 1956 by Rogers Corporation of Englewood, Colorado. These are high tech jigs, fixtures and instrumentation/automation gizmos that bill built. 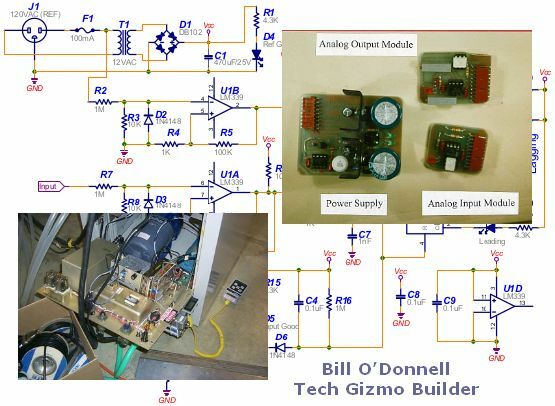 Electrical gizmo builder for the UNLV Physics Dept. These projects are advanced and not for a beginner student or newbie hobbyists. These pages are knowledgable and will help students and DIY enthusiasts understand more about Lasers, Precision Temperature Control and stepper motors among other things. Here is an automation solution with a ethernet usage. The code and diagrams are also there. This is something that covers many aspects of engineering in one project. Try such things out to learn, only after you have mastered the basics. I have made some Web Widgets, these are analog opamp tutors. Interactive Tutorial with Simulated Meters and Potentiometers, demonstrating how Operational Amplifier functions in different configurations. Slide the Potentiometers just like you would operate a Sliding Control. Drag the Knob on Pot to increase or decrease the resistance. The Resistance is shown is blue letters and dynamically alters value as you slide the pot. The mV Source is varied by just moving mouse pointer over the two buttons, no clicking. This reduces finger strain and also you have a long lasting mouse. The mV buttons are special, the variation picks up speed if you let the mouse pointer remain on the button. This is Ramp-up and Ramp-down. This enables you to set it faster with just two buttons. Finally you have a DVM a Digital Volt Meter that just Displays the Voltage at any Point, this readout value has to be noted down. 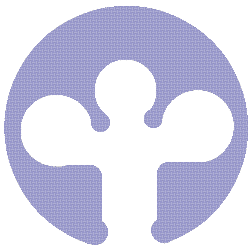 If you wish to examine the code – Analog Tutorials Project Page. Here is a Snapshot of a Live iGoogle Page showing a Digital Preset counter Gadget in Canvas view. With a few Op-Amps and a regulated Power supply, many Instrumentation and Process control equipment can be designed. The Human Brain understands Numbers, Quantity and it regulation very well ! On the right you can see a analog controller based on opamps and discrete devices. A Heater, Fan and Motor is regulated, controlled and timed for a process. Analog is about numbers, the circuits can be understood and designed mathematically or empirically. Designing and Building a True RMS Rectifier with Op-Amps, will help a designer digest many Op-Amp capabilities. OpAmp part numbers from various semiconductor companies are designed for both General purpose and special applications. Some have to be cost-effective for consumer low-cost equipment, while others may be advanced in specs, closing in on an ideal Op-Amp. Instrumentation opamps are used for accurate and low drift applications. These Op-Amps have stringent specifications and are used in the fields like Aerospace or Medical Electronics. A pre-amplifier for an FM Radio may need to be low-priced. Test Measurement needs Op-Amps which have near ideal specs in the area of measurement or application. CMOS low-power devices are used when designs are made for portable gadgets. Outputs cannot be Loaded beyond the drive capacities, Note Resistors and Output Load. Inputs draw a small bias current and will load the signal sources, compensate design. Op-Ams AF-RF or Switching performance study with Slew rate and Bandwidth. Power consumption of some Op-Amps are more and some very less, choose wisely. Look for Standard Pin-Outs, Price, Popularity and study Abs. Max, AC and DC Specs. Use Packages with multiple Op-Amps like LM324 to save board space and assembly time. Op-Amps and its 1% MFR resistors should have a separate supply and far from hot parts. Ultra Low Offset Voltage is required, when you wish to amplify a DC level of say 500uV. Guard rings to be used for High impedance inputs and EMI-RFI Shielding for AF Amplifiers. Glass epoxy PCB, clean surface, Pins and Tracks protected from Moisture and Chemicals. Avoid Ground Loops, Have regulated Low ripple Power supplies. Dynamic Isolation.